Q is for Quayside | The Tales of Missus P.
The Quayside is where the River Tyne separates Gateshead and Newcastle. Here is where you’ll find the Millennium Bridge, The Swing Bridge, The Tyne Bridge, The High Level Bridge, The Sage, The Baltic, as well as Pitcher and Piano. It is one of my favorite places to go in town. It’s so pretty and peaceful to walk around the river and have some many neat things around. It’s also one of my favorite places to take pictures. The Quayside is an area along the banks (quay) of the River Tyne in Newcastle upon Tyne (the north bank) and Gateshead (south bank) in the North East of England, United Kingdom. The area was once an industrial area and busy commercial dockside serving the area, while the Newcastle side also hosted a regular street market. In recent years as the docks became run-down, and the area has since been heavily redeveloped to provide a modern environment for the modern arts, music and culture, as well as new housing developments. 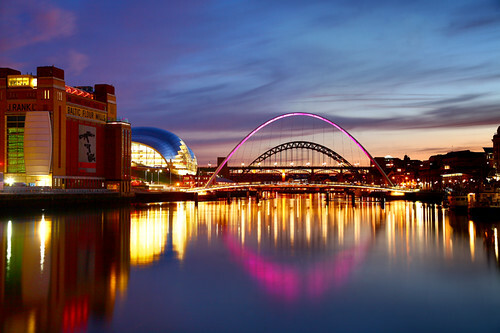 The Newcastle-Gateshead initiative now lists the Quayside as a top ten attraction.